author - JOHN HOWE is an illustrator best known for his work based on J. R. R. Tolkien's worlds. 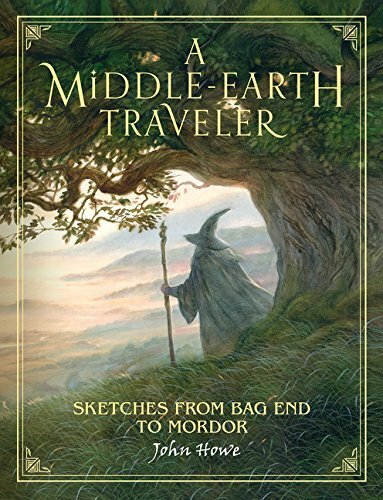 Howe and noted Tolkien artist Alan Lee served as chief conceptual designers for both Peter Jackson's The Lord of the Rings and Hobbit movie trilogies, and he also re-illustrated the maps of The Lord of the Rings, The Hobbit, and The Silmarillion. In addition to his Tolkien-related work, he has illustrated numerous other fantastic worlds, including Anne McAffrey's Pern, a limited edition of George R.R. Martin's A Clash of Kings, and numerous cards for the game "Magic: The Gathering." He lives in Switzerland.